When I was a boy, I loved to walk in the woods near our house. They held old trees and vines. There were ruins from the Civil War, and cypress trees, and right in the middle was a swamp teeming with nutrias. One day, my friend an I were exploring through the woods, playing along the creek that fed the swamp. We each had machetes, because what boy doesn’t want to be dangerous? As we hopped along the cypress knees, my friend hollered for me to look down, and as I did, I saw something that gave me a fright! At my feet was a copperhead snake coiled up and reared back to strike! In a split second I jumped, and it struck, both at the same time. As it struck (fortunately, just an inch or so in front of my leg), I swung my machete and took a chunk out of it’s back. I watched it slither away through the water and disappear under the root of a cypress tree growing in the creek. It took me a couple minutes to regain my composure as my adrenaline flushed though my system. If I had been bitten, it would have meant certain hospitalization, and depending on the severity of the bite, some have even died from copperhead venom. Have you ever had something dangerous sneak up on you like the snake did on me? Have you ever stepped into a dangerous situation accidentally? The Bible says the devil is prowling around constantly, like a roaring lion looking for someone to devour. He is also a serpent in the garden looking for someone to trap into death. Lately there have been many things happening in our world that cause us to react strongly within our minds. The school shootings in Florida, Kentucky, and even here in Aztec, NM are great examples. Government policy often creates emotional dissonance within us. Even the male commentator for figure skating at the olympics dressed like a girl has many expressing consternation. It’s easy to have opinions. It’s easy to allow our emotions to control our reactions to situations. It’s easy for Satan to sneak right up and cause us to sin, creating moments of death in this world by our words and actions and attitudes. We must be constantly on guard. We must monitor our responses to stimuli. We must react with love, not hate or division. But how do we do that? James says the man who can control his tongue will be perfect in every way, because the tongue is a restless evil full of deadly poison (James 3:2, 6). How do you use your tongue when you are caught up in the emotional response to negative stimuli? Maybe you need to distance yourself for a moment until you can calm down. Maybe you need to take a sabbatical from Facebook or other social media that is fostering so much division in our culture. Maybe you need to remember you do not have to respond at all. It is better to remain silent than to murder someone with hateful speech (Matthew 5:21-22). For when we let our anger, our sinful impulses, control us, Satan saddles up and rides us all the way back to death (Ephesians 4:26-27). If you’ve been guilty of letting your negative emotional response to some situation damage your relationship with others, you need to make amends (Matthew 5:23-24). May we be people who speak life in this world, not letting the copperheads at our feet cause us to stray from the ways of Jesus. 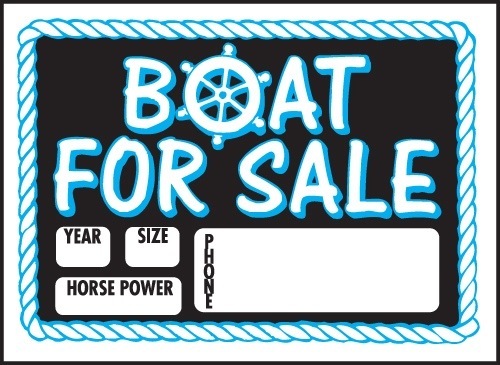 Thibodeaux was driving his car past Boudreaux’s house and saw a sign out front that read: “Boat For Sale”. Context is super important. This joke cracks me up every time because I have spoken to people just like this. I grew up in Louisiana, and my family was from Arkansas. If one of my family members was talking about “abode”, it was either a piece of wood used to build something or a winged creature with feathers that flew through the sky. How would we know that if we hadn’t taken time to get to know that person? How could we decipher their “code” if we hadn’t looked at the context. What is this passage about? I know many people who swear that this is talking about the end of time. There is a whole theology that stems from this chapter about when Jesus returns at the end of time to set up His kingdom. Do you see the context? Jesus and his disciples are talking bout the destruction of the temple. They were talking about buildings being destroyed. This passage is NOT talking about the end of the world after all. As you study the bible be sure to pay attention to context. Without it you will be easily confused. If you’d like to study more about this or anything else regarding the salvation Jesus brings freely to you, feel free to contact me at 334-6626 or via email at mrjdobbs@gmail.com. God bless you as you study His Word. When I was a kid I loved going to my grandparents’ house in Northeast Arkansas for several reasons. I mean, what kid wouldn’t love to go to a place where he or she was doted upon and taught many life lessons through outdoors and apprenticeship?! I remember many details of my many trips to see them each year, but there is one detail that seems strange to me that I would remember: the taste of their tap water. Their water was great. I grew up in North Louisiana where the water was a caramel color, and if you filled up your bathtub with it you wouldn’t be able to see the bottom of the tub. Comparatively, the sparkling clear water of Northeast Arkansas was amazing with just the right mixture of pure H2O and minerals. 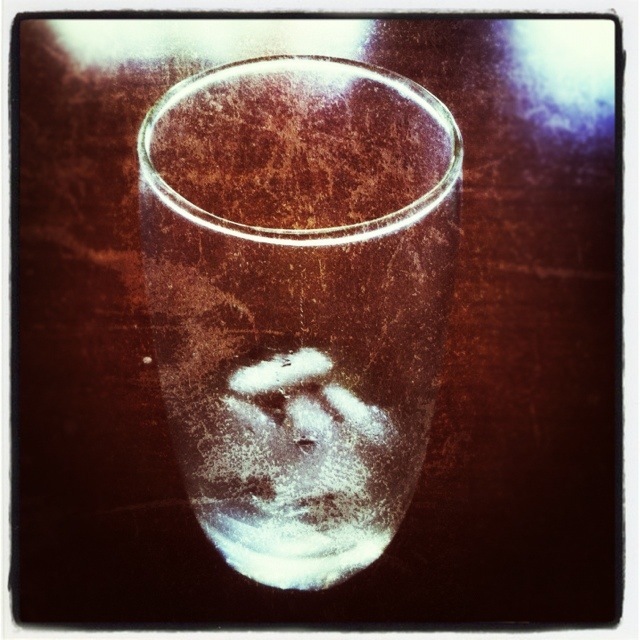 Did you drink tap water growing up? 20 years ago that wouldn’t even be a question anyone would ask because who didn’t drink tap water? Today, however, we have an entirely different set of circumstances. When you ask people for some water chances are they’ll go to their refrigerator and look for some liquid in a plastic bottle or in a pitcher that had been filled through filtered means. Every so often I get a report from our water treatment plant for our town. It makes me aware of the different levels of chemicals in the water. Wait…chemicals? Yes! Then it tells me that the water is ok to drink. It’s not necessarily healthy, but it’s ok. Our water even contains arsenic! No wonder people are buying bottled water as fast as they can produce it. In our consumeristic culture we have changed to buying our water off the shelves in bottles or jugs or filtering it by some means even after it has come from our “water treatment” plant. We can’t seem to get “pure” water any more; we just make do with the water that we think is “more pure” or tastes better than other water. I’ll admit that I do the same thing. I would rather drink water from a spring or well, but in town I have a Brita water filter pitcher at the house. When I buy water in a bottle I prefer Dasani. Don’t ask me why. I just think it tastes better. When I find Ethos water I buy that because some of the proceeds are supposed to be helping to dig wells in underdeveloped areas of the world. We seem obsessed with water. And we pay for it accordingly. Why is it that we are more concerned about the bacteria in our water than about the sin in our lives? We don’t keep “pure” lives as the standard to which we strive. We settle for “more pure” than others. What if Jesus lived his life that way? If He had sinned even once he would not have been fit to take our place as the unblemished Lamb of sacrifice. Then he tells us to “be perfect” (Matthew 5:48). What? I can’t be perfect! No, but I can strive for perfection. There’s the difference between what God calls us to be and what many of us have settled to become. He wants us to try and not to quit. He wants us to hate sin. He wants us to abhor it. We should loathe it, but we settle for “good enough” or “better than others”. God is not comparing you to others at your job or school. He is comparing you to Jesus. Then, if you fall short of that (which you do), he offers you the sacrifice of Jesus to cover your imperfections. When Jesus died He took your sins on the cross and gave you righteousness – a new clothing unstained by sin. In Galatians, Paul says that the clothing we receive when we are baptized into Christ is Christ Himself. Then we go through our lives staining up that righteous clothing with the deeds of selfishness. You wouldn’t go out in the $100 outfit you bought yesterday and play in the mud in it today. But that’s exactly how we treat our righteousness. In Romans 6 we are reminded that when we died to sin we were called to not live in it any longer. May you hate the sin in your life more than you hate the bacteria in your water. May that new mindset this year change you into a better, more whole and more holy man or woman of God. And may your circles of influence see Jesus (your new clothing) as you live and move and function inside that clothing. Happy new year, and if there’s anything I can do for you, call me at 979-245-1611 or email me at jddobbs@verizon.net. God bless you! So why “The Sharp End”? When I lived in California, I loved being in the mountains. Everything about them inspired and intrigued me. Each moment of the day I dreamed of being in higher elevations exploring the wonders of God’s creation. As I grew to know more of these mountains, I also noticed an availability of a sport I always wanted to be involved in: climbing. I had done some mountaineering, but I’m talking about climbing with a rope and harness and rock shoes up a steep face with only a belayer to keep you from hitting the ground. This excited me through and through because, growing up in Louisiana, there was no place to go for an aspiring climber to learn, so I just didn’t. So what is it? The sharp end is the end of the rope to which the climber is tied-in. In sport and traditional climbing, a climber would climb from the ground up, placing gear or quickdraws as he/she went along, so this sharp end of the rope was the serious end. I didn’t realize how serious this was until I was two-thirds the way up a climb in the Sierras. It was my first lead, and it was 5.8. I wasn’t too scared on the slabby sections, but I had to hit a vertical wall a good ten feet above the last bolt. It wasn’t the easiest section of the climb, and I had a good 20 feet of climbing left. When on lead, if you fall, you don’t fall back to the last bolt. You fall the distance to the last bolt then that distance some more. So, if I had fallen right before I clipped the chains, it could have been a 60 foot fall. I was scared. This blog is about the business end of life. We all are tied to the sharp end, and we all must climb this mountain called “life”. Some people choose to stay on the ground. Some people climb but continually look down. Some people climb and don’t work in partnership with their belayer. Some people climb with skill that can only be a gift. Some people move through various stages of each of these as they travel through life. Which one am I? You’ll see in my future posts.